If you've been to Renfrow's in the spring and had a tough question, they may have directed you to a bearded man in a tie-dye shirt lingering around the seeds. That's Jeff Rieves and he's the subject of our ‪Local Business Interview this week. Jeff recently moved to Matthews, and I, for one, am excited to have such a valuable resource just up the road on John Street! 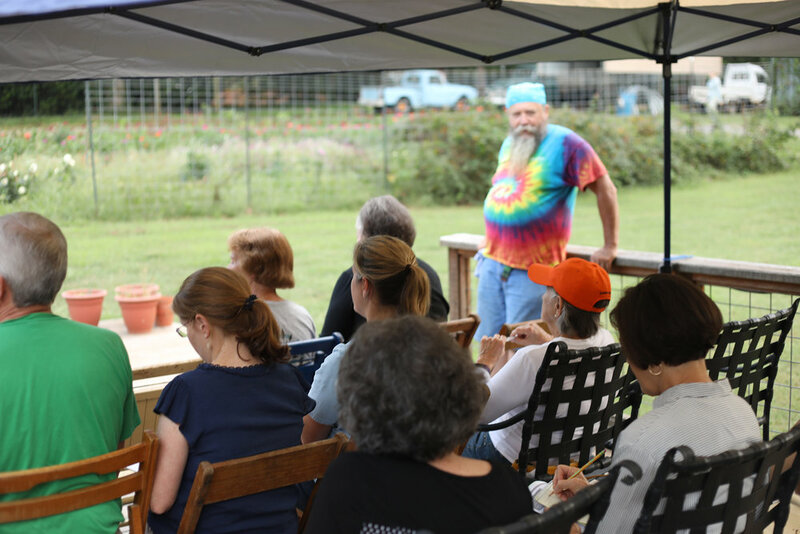 Don't miss his upcoming classes at Renfrow Farm, an urban farm located on John Street. Jeff Rieves has been a gardener his entire life, though in his younger days, often a reluctant one. Jeff brings years of experience to any class he teaches. Growing up on his grandparents’ farm, gardens, orchards, chickens, and milk cows were simply a part of life for him. After a few years in other endeavors, he planted his hands in the soil of Chatham County, NC. Jeff spent the next 20 years as managing partner of Southernwood Farm & Nursery, growing vegetables, cut flowers, plants, and children. Later he served as an original instructor of Central Carolina Community College’s Sustainable Farming Program, was the Chatham County Director of the Small Business Assistance Center, an agent with the NC Cooperative Extension Service, and helped create The Teaching Garden, an outdoor classroom and demonstration garden, to further his concept of SIMPLE sustainable horticulture. Since 2013, Jeff has worked as an independent educator, consultant, and agripreneur, continuing his work to rebuild the Local Food culture. He currently teaches at Renfrow Farm in Matthews, and other venues in Virginia and North Carolina. Currently, Jeff travels the southeast teaching his philosophy of simple, sustainable horticulture. He consults with individuals and businesses, concentrating on helping small farms and food businesses. What brought you to establish a business in Matthews? David Blackley, the owner of Renfrow Hardware, has been a supporter of my work since my days in Extension. When I went out on my own, David was one of my first clients. When he offered the chance to hold classes at the Hardware store and at the Farm, I knew it would work well. It has worked so well, in fact, that I have moved my base of operations to Matthews. As a gardener myself, I feel like we have the perfect climate to grow a large variety of things. What’s your favorite edible to grow? What’s a favorite ornamental that thrives here? In NC, You can have something in bloom or producing food almost all year long. I like growing a lot of things, but the most productive thing for me lately has been Irish potatoes, particularly the white Kennebec. But I did have a single “California Wonder” green pepper that lasted from March to November, out-producing all the rest of my peppers combined. As for ornamentals, the crape myrtle is hard to beat, especially since the US Arboretum has introduced so many new varieties. It loves the heat of summer and blooms a long time. What does the phrase “Preserve Matthews” mean to you? Retaining the quality of small-town livability that makes a place so vital. Right now downtown, we have a mix of new and old that is easy to walk to, provides quality products and services, and is not dominated by big box stores. On the other hand, if chain and discount stores are your thing, they are just a short drive away. 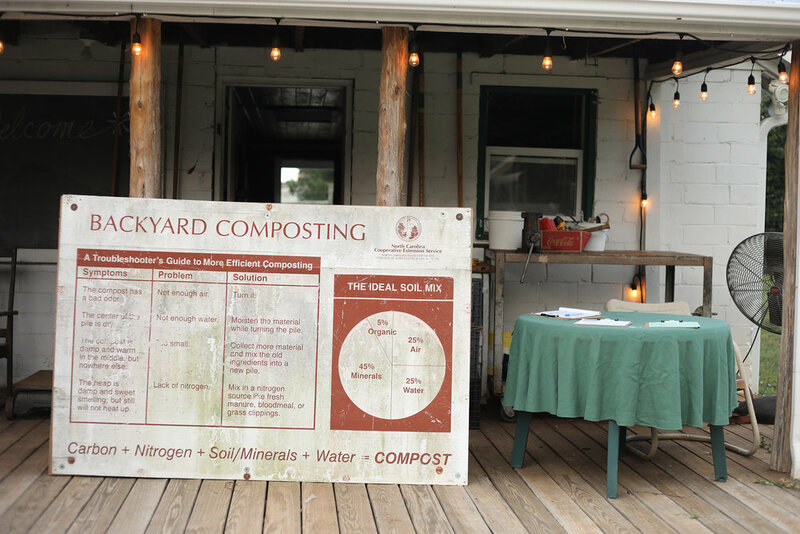 Rieves is set up at Renfrow Farms to teach a class on home composting. Photo by Charles Lybrand. What’s another business in Matthews you love to support? Renfrow's, obviously. The selection of seeds, supplies, and service is the best in the Charlotte area. I also like Brakeman’s, the new coffee shop. Mo’s Barbeque is a great place to eat. And while it isn’t a business in the strict sense, Matthews Library is just fantastic. Do you have any promos or specials you'd like to offer our community members? One of my most popular services is the home garden and landscape consultation. I’ve designed and installed all kinds of landscapes, from formal herb gardens to Permaculture homesteads. 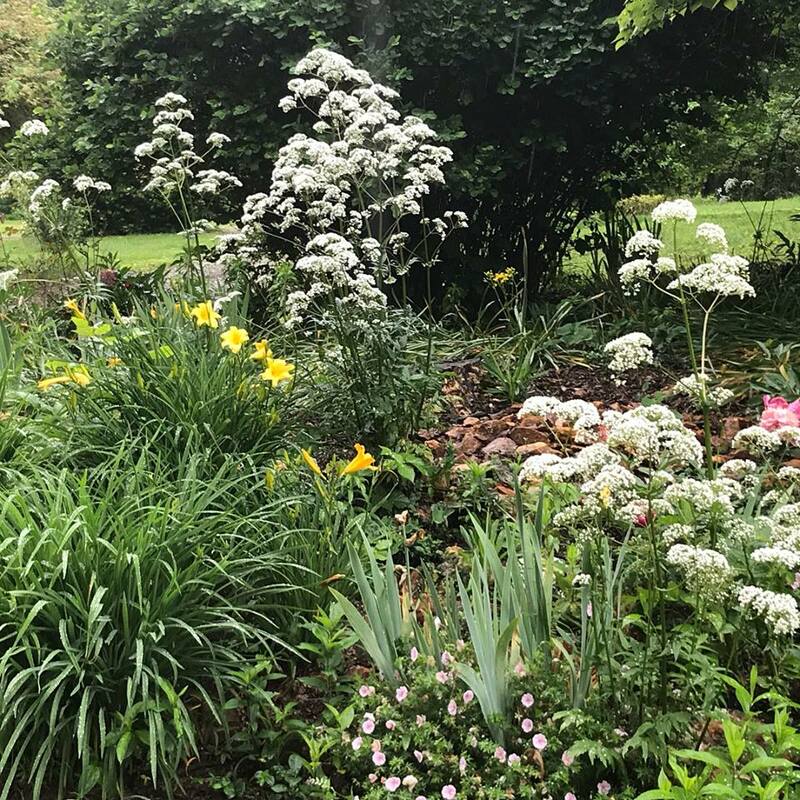 In an hour visit to your home, I can solve problems in the landscape, identify those “mystery” plants we all have, show you some opportunities to improve your gardens and help you enjoy your garden even more! You get one hour of access to 30 years of experience and knowledge for $100. Readers interested in a home garden or landscape consultation gets a 10% discount, just mention this interview. Photo courtesy Jeff’s Successful Gardener Facebook Page. This interview was originally posted on Preserve Matthews' Facebook page.